Christine S. Paris, died peacefully on December 6, 2018 at the age of 91at Jersey Shore Medical Center. Mrs. Paris was born in Brooklyn, NY and was raised in Keansburg, NJ. She resided in Eatontown, NJ for the past 42 years and was a communicant of St. Dorothea’s Roman Catholic Church in Eatontown. Mrs. Paris is survived by her daughters, Nancy Pingley (Randy) of Williamsburg, VA, Judy Christel (Kenny) of Eatontown, NJ; her son Glenn Paris (Nancy) of Eatontown, NJ; 8 grandchildren and 10 great-grandchildren, as well as several nieces, nephews and cousins. Mrs. Paris was predeceased by her husband, James K. Paris, her parents, Felice and Anna Senato, 2 brothers and 3 sisters. 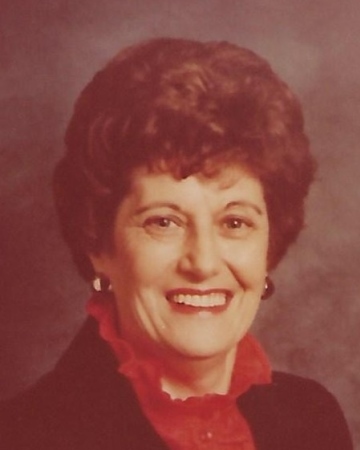 Mrs. Paris began her civil service career in 1959. She retired after 30 years of service from Fort Monmouth, NJ., She was an avid reader, enjoyed crocheting, traveling and family events. Growing up, she loved roller skating, dancing and playing piano. She especially looked forward to Friday night coffee with her family. She loved watching the NY Yankees, Dancing with the Stars and Shark Tank on TV. Her favorite singer was Engelbert Humperdinck. Surprised with tickets to his show in 2017, she said the show and night out with her son was one she would always treasure. She was proud to be able to live independently and still drive at the age of 91. Above all, her greatest accomplishment was that of a devoted and loving mother, grandmother and great-grandmother. She lived every day for her family and will be sadly missed by all who knew and loved her. Family and friends may visit Sunday, 4-7pm at the Braun Funeral Home, 106 Broad Street, Eatontown. Funeral Mass Monday at 10:00am at St. Dorothea’s in Eatontown, followed by burial at St. Joseph’s Cemetery in Keyport. In lieu of flowers, please make donations in Christine’s memory through her personal memorial donation page at www.inmemof.org/christine-paris for the Food Bank at St. Dorothea’s Church.